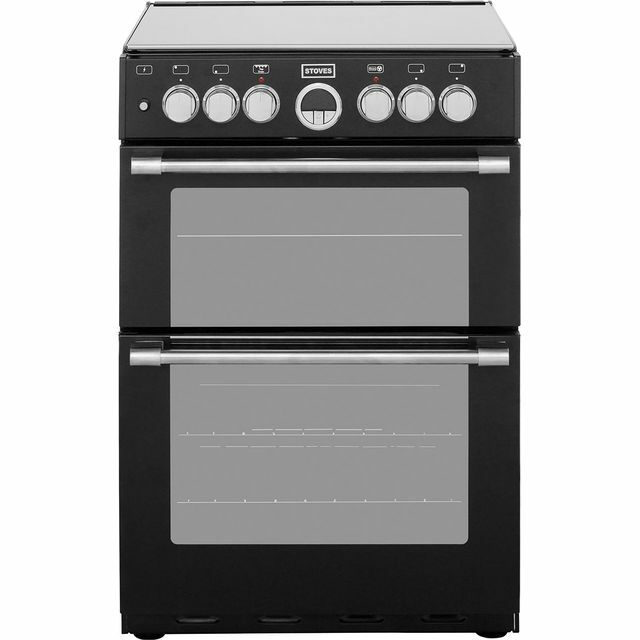 The Stoves STERLING600DF Cooker comes in a sleek black colour. This Cooker has a electric fan oven oven. The STERLING600DF main cavity capacity is 69 litres, which means plenty of space to cook for larger families. The flame safety device senses when the flame has been extinguished and automatically cuts off the gas supply preventing a dangerous gas leak. 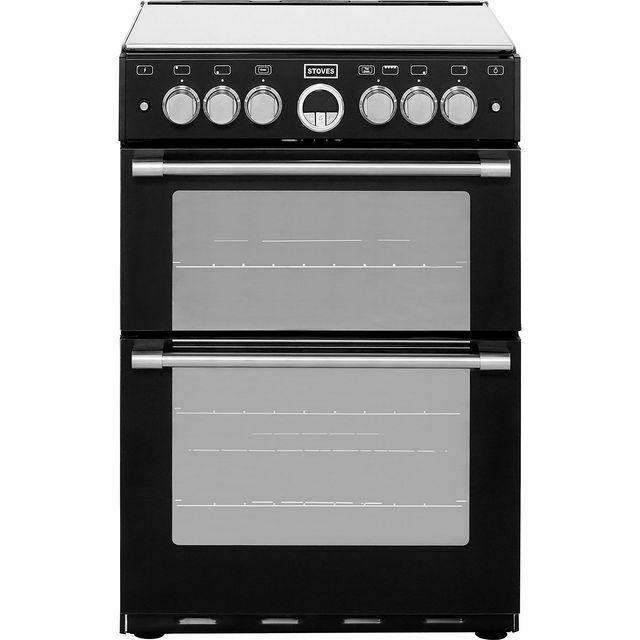 To offer peace of mind the Stoves STERLING600DF free standing Cooker also comes with a 1 year warranty. Love this cooker! Looks more expensive than it is. 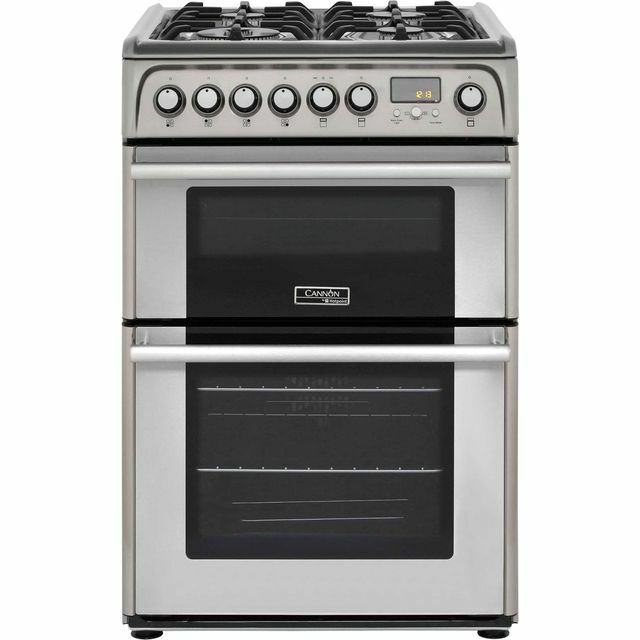 This oven looks stylish and is great to use. I would highly recommend it. Good value for money. 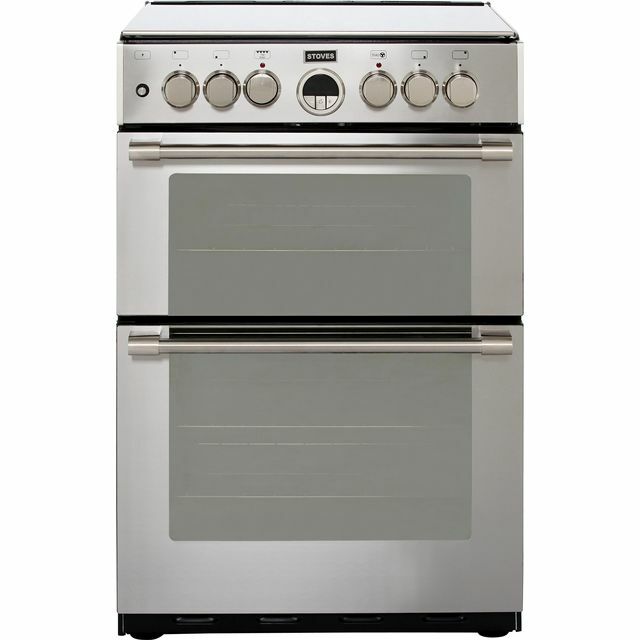 We purchased this oven about a month ago and I must say I'm very pleased with it, it is a very good looking oven with good strong controls, it features a top oven, a fan oven and grill with a slow cook and pre set option, the fan oven cooks well, top oven is not too bad but last time I used it smoke kept coming out. 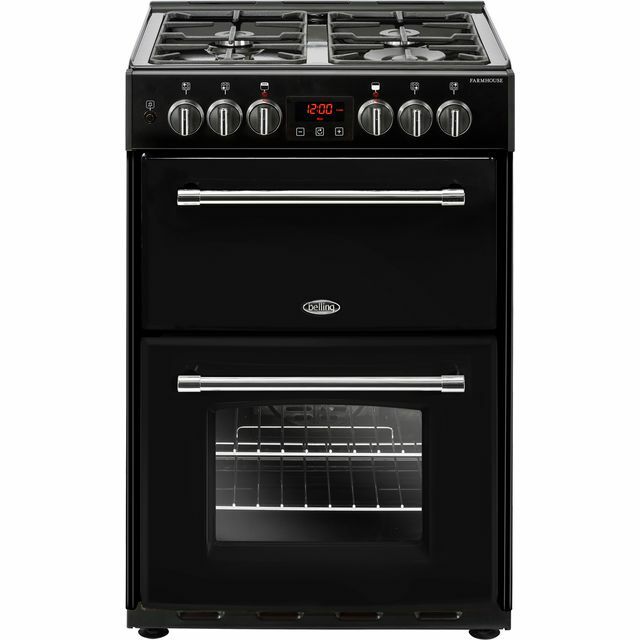 Really struggled to find a cooker that had the features we wanted, even when willing to spend double the price of this cooker. pros - its a cooker in the colour we wanted cons - no where as good as our 15 year old cooker we replaced...but then what is. Flimsy build, uneven cooking and no true variable temperature grill. All the reviews below are exactly what you get. A good cooker but.... not that well built, with a plastic burnt smell lingering after using the grill, with the insulations indeed sagging at the bottom of the cooker and I add very noisy gas burners. The grill pan did twist after the first time we used it. It is indeed a little expensive considering all those faults but it is a good cooker doing well what it should do. I do not regret buying it because from the reviews, I knew what I was buying and today it is the better dual fuel cooker on offer, it also looks good.